With the new school year starting, we thank all teachers for their work on behalf of students of all ages. Today we highlight three prayers for educators. 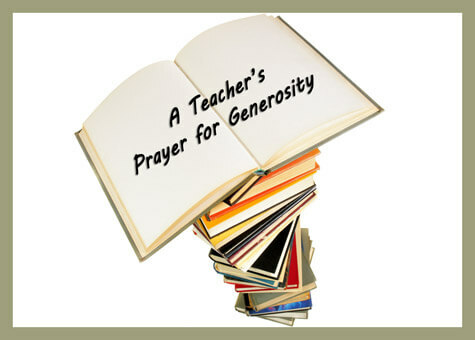 A Teacher’s Prayer for Generosity—Marc Fryer, SJ, wrote this prayer based on St. Ignatius’s Prayer for Generosity. Ignatian Educator’s Prayer—The Jesuit Secondary Education Association shares this prayer. Teacher Prayer Card—Loyola Press offers a downloadable prayer card for Catholic school teachers. This is Catholic Schools Week, so it’s an appropriate time to consider how Ignatian charisms are important in the development of future teachers in a Jesuit education program. Resident Assistant Professor Max Engel talks about this topic in a podcast episode of Catholic Comments, produced by Creighton University. Listen here.